In this article, you will find out precisely what herb butter is and how to easily make your own. Also, simple ways using them. Do not miss this! Let’s impress your dinner guests with buttery goodness. Have you heard of herb butter? Probably yes. I got to know this term from the restaurant’s menu. Usually, listed as a sauce or accompaniment for grilled steaks, lamb chops or grilled fish. Herb butter is also known as compound butter, a term which I found out most recently. Simply explained, herb butter is butter that has been mixed with herbs. Usually, shaped into a log and chilled until firmed. As and when needed, it is sliced to portion and served with food. Sounds delicious, doesn’t it? Let’s get rolling with the how. Things are easier said than done – I used to say this very often. But making your own herb butter is really easy. All you need is a good brand of fresh butter and fresh herbs. You may use either salted or unsalted butter. With unsalted butter, you can control your salt intake. If you wish, simply add a bit of salt to the unsalted butter or use regular salted butter. Using it on meat, you may want to add a little bit more salt to the unsalted butter. For this reason, it is good to know what you intend to use your herb butter for? Similar to the butter, you may opt to use fresh or dried herbs. Personally, I love fresh herbs. How about you? Another reason why I opt to use fresh is that unlike dried herbs, the freshness and quality deteriorate fast. As I dislike wastages, using the fresh herbs quickly minimizes the leftovers. These common fresh herbs can be used to make a herb butter. A guideline to follow is using 1 stick of butter (1/2 cup) to 1 tablespoon of finely chopped fresh herbs or 1 teaspoon of dried herbs. You may consider reducing the amount when using potent herbs such as rosemary and sage. On the contrary, increase the amount when it comes to mild herbs, for instance, basil and parsley. Let the butter stand at room temperature until softened. The butter should be easy to stir. Using fresh herbs, rinse them thoroughly and air dry before chopping. Good to know that herb scissors make the task easier. If you don’t have one, it is easily available on Amazon. In a small bowl, combine butter and herbs, and mix well until herbs are evenly distributed. Scoop the herb butter onto a piece of waxed or parchment paper or plastic food wrap. Shape into a log by rolling it in the paper. Wrap the log and twist both ends to seal it. Chill in the refrigerator until firm, at least an hour. Herb butter can be stored in the refrigerator for several days, up to 2 weeks. In doing so, pack the log into a sealed container or freezer bag. If need to, herb butter can be frozen for 2 months. Allow time to thaw before serving. Simply slice the herb butter to the amount needed or several thin slices should you want to serve it separately on the table. Are you hosting a dinner any time soon? Surely, you want to add a touch of elegance to the dining table beside charming your guest with delicious meals. Yes! Herb butter easily enhances the flavour of your dishes. And a moulded herb butter pat will beautify your dish or table setting. Besides rolling the herb butter into a log, you can use moulds to shape the butter into beautiful shapes. Another good reason to do this is that it is easier to handle moulded butter when serving. Instead of slicing the log of butter, you can easily use or serve the herb butter pats individually. Silicon ice cubes tray, candy moulds or mini muffin pans can be used. Cookie cutters work well too. Make your butter pats according to the occasions. It could be a bunny shaped for Easter, Christmas tree or gingerbread man for Christmas and so forth. Fill the moulds with the herb butter mixture (explained above). Use a small spatula to work it in, making sure no air pockets are formed. Freeze the herb butter for about ½ an hour or until firm. To lift the butter from the mould, place a plate or pan on top of the mould/butter. Flip it over and run the mould under hot water for a few seconds. Then, flip the mould over to the top side, remove the mould and you will see your beautiful butter pats on the plate. You can refrigerate the herb butter pats in a closed container until you need them. Basically, you can use herb butter on any meat dish and seafood such as beef, lamb, pork, poultry, fish, lobster and shrimp. Herb butter can also be used on vegetables, corn on the cob, mashed potatoes and bread. Here are some tips on pairing food with herb butter. Garlic Herb Butter. This is my favourite and I normally use parsley. It goes perfectly on sliced baguette or any bread. Basil Butter. Goes well on chicken, fish and vegetables. You must try it on the scrambled egg! Mint Butter. Mint can never go wrong with lamb. It pairs well with peas too. Sage Butter. Pairs well with chicken and seafood. Vegetable too, such as fresh green beans. Tarragon Butter. Chicken, lamb and fish are good pairings. Parsley and Chive Butter. Goes well with red meat, corn on the cob, baked potatoes and eggs. Here is a simple Garlic Herb Butter recipe from Genius Kitchen. Now that you know how to make a herb butter, would you consider making your own? 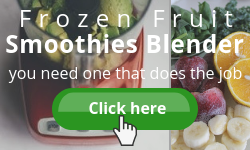 Go on, try it out and use them to elevate your home cooking. The fresh taste and aroma of the herbs, coupled with the rich buttery flavour, herb butter is a desirable combination that adds an exquisite touch to any dish you cook. Impress your guest! 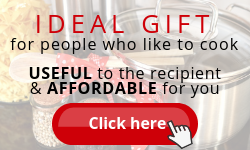 Your family and friends will be astonished by the deliciousness of your home cooked meals. They will probably never go back to plain butter and will be asking for your secret recipe. Will you share? Making herb butter is also a good way to preserve your fresh herbs. 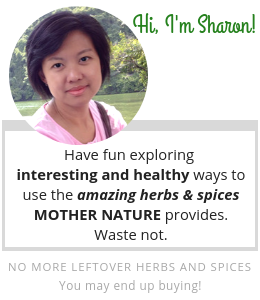 I am frugal and will find ways to use up my herbs before they lose their freshness. 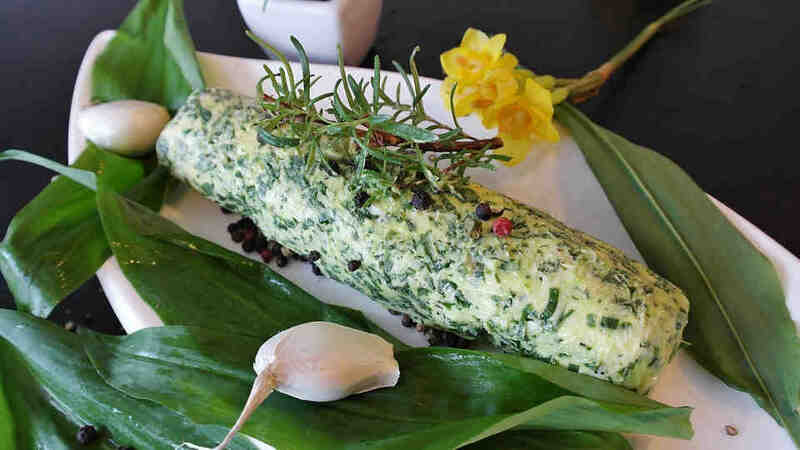 Being able to make delicious herb butter to reduce the wastage, why not? You may find it easier using a mould when making your herb butter. The first couple of times I did, rolling into the shape of a log, it didn’t really end up pretty. Nonetheless, the flavours are great but I find the moulded herb butter beautiful and fun to work with. The choice is yours! Try them out! Have fun creating your own version of the herb butter. Play around with the choices of herbs. You need not necessarily follow the exact recipe. Go with your own palate. Consider adding spices such as paprika, red pepper flakes and ground black pepper to spice it up. Or give it a citrusy flavour with lemon or orange zest that goes well with a seafood dish. That’s about it on this topic. Now, I ask you – Do you know what a bouquet garni is? Find out here. Fresh herbs are a powerful source of food Mother Nature provides. They are nutritional and medicinal. 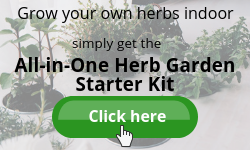 With so many usages for fresh herbs, grow your own and use them all year round. Read related articles here. With the information, you can easily start your little herb garden indoors. Share with us your experiences with herb butter if any. If you have not tried making your own, will you now? 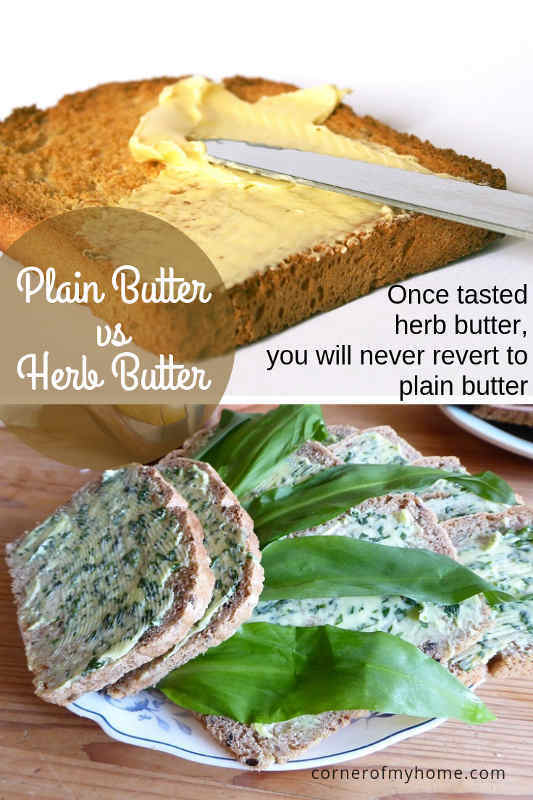 Since you know exactly what herb butter is and how it helps you serve delicious dishes, you must try! Yes, No? Disclosure: This blog post may contain affiliate links as part of the Amazon Services LLC Associate Programs and other affiliate services. 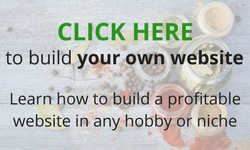 This means that coenerofmyhome.com receives a small commission by linking to amazon.com and other sites at no extra cost to the readers. Your herb butter information is the best one I have seen today. I have really been wondering the secret of those top restaurants when it comes herb butter and how to make it work for my home made dishes. And you have just broken down everything down to the last detail. Thanks a lot for being this kind. I have just shared your post and I look forward to seeing more posts like this. I will be stopping by very so often. I am now your fan, officially! Thank you so much for the positive comments, Dave. It means a lot to me. happy cooking and see you soon! I have never tried herb butter before and can’t imagine the taste and aroma. But based on your descriptions, the rich buttery taste (I like butter) it seems fantastic. Thanks for this recipe, I’ll try preparing it, if I encounter any challenge or have any question, I’ll head back here. Nice to see you back here again, Sammy. Since you like the buttery taste, this herb butter is definitely for you. Try it and let me know how it goes. Thanks for writing this article on herb butter and everything it entails. I must commend you for a job well done for taking your time to write this article,i have take Garlic Herb Butter and I know how it taste, apart from the light taste it renders, the combination of garlic and herb that has several health benefits like, boosts the immune system. Acts as a detoxifying agent also safeguards against cancer cells. Well, looks like you really know your garlic and herbs. Thanks for sharing. This is really a beautiful post! Herb butter is also called compound butter ,I really love taking it especially the garlic spicy with turkey herb, it has this unique taste and aroma it gives when prepared but I have question that am yet to get a response and I will be glad if you can assist me in responding. Is there any medical benefit or risk of herb butter to the body because have been observing my weight since ? 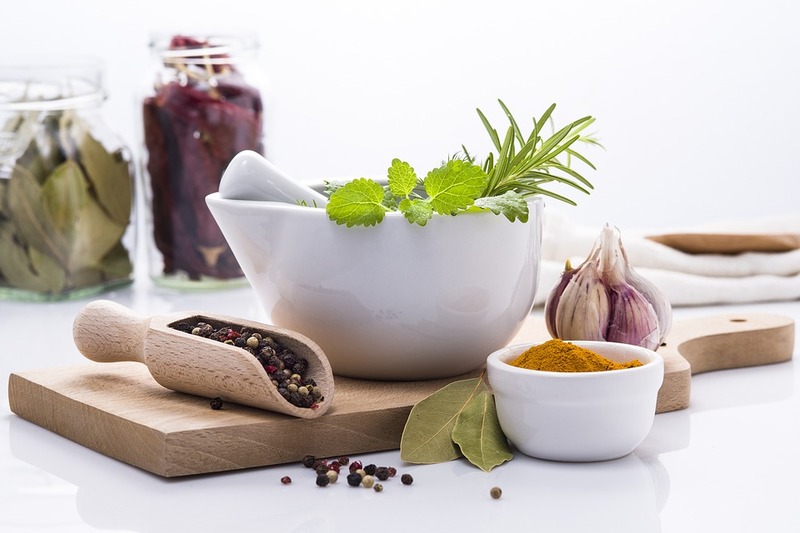 Some of the common cooking herbs are good for weight loss. They help in digestion, increase metabolic rate and dissolve fat. 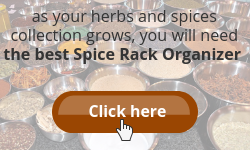 I have written an article some time back – Best Way to Lose Weight Naturally, using herbs and spices. You may want to read it and learn more. As for butter, it has been an interesting debate about its health benefits and side effects. 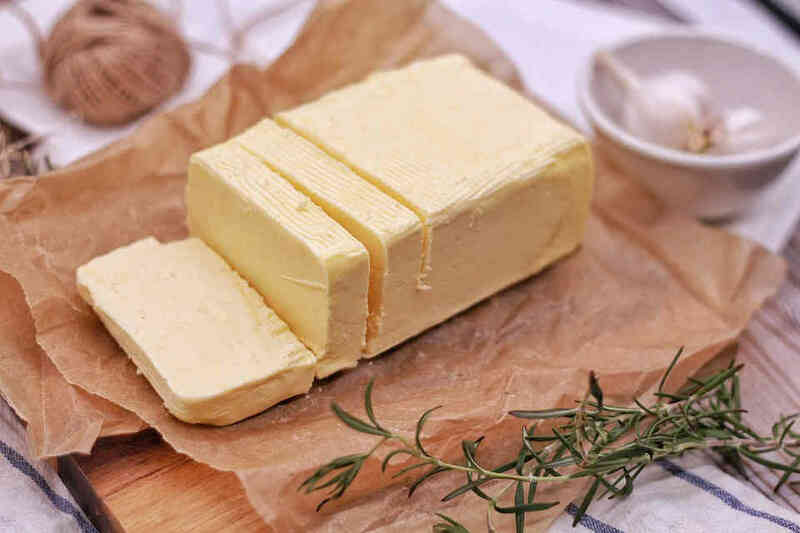 While butter may push up your cholesterol and clog your arteries, it has many nutritional values. You can read about it here. Overall, I always believe in consuming any food in moderation. I hope this has helped you with your queries. Feel free to contact me should you need further help.